"I bought this in the Tuscany pattern, even though I bought the Sicilian pattern in just about everything else. The 2 patterns go together quite well. This platter is absolutely magnificent! The handpainting is so beautifully done that it looks like it was painted on a canvas. The colors are vibrant and the artist was able to make the picture come alive by giving it depth. This was an expensive piece, but well worth it. It will make a beautiful presentation piece on a table." Would you recommend this product as a gift? Who would this be a perfect gift for? "This platter is gorgeous, it took my breath away when I opened the box. Just love it! I bought the Tuscany and am so happy I did. 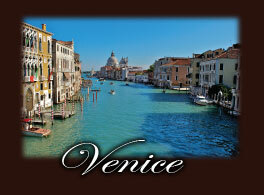 It will be a gift for someone who adores Italy. I know he will love it too. Thanks again QVC. Wish they had 10 stars, I would have given it that rating." "Very nice. I got Sicily and Tuscany. They are so pretty and very nice to use. The size is just right for so many dishes. I love the recipes included. I got two different ones. That was a nice surprise. Since the baker was the same, I thought I would get the same recipe. Thank you for making them different. Thank you for all the work you have done to bring these beautiful works of art to our tables. A treasure from Italy. My family is from Sicily. I have not made it there yet. They had a homemade cheese business in Sicily. So I will treasure these beautiful handmade dishes. THANK YOU! GRAZIE!" "I ordered the Sicily pattern: it is beautiful!!!!! Used it for Easter dinner. One issue:the piece does not sit flat on the table: it "rocks" a bit; most likely an uneven base/bottom. I do not want a return /exchange; too much of a hassle. it is so pretty, and washed easily after baking. Despite a minor flaw, I'm keeping it"
"Wow !!! The Sicily Baker is so pretty. I bought it to replace a glass brownie pan that I have had for years. I was so excited when I saw this. The colors are so vibrant. It brought back so many memories of my trip to the Amalfi coast, and all of the beautiful lemon trees. If you have not been there, the lemons from that region are huge!!!! It is easy to clean and looks so nice on the table. This will be treasured in my kitchen for years to come." "I received this baker last night and it is gorgeous. It has a nice weight to it and the design is beautiful. I agree with the other reviewer -- the packaging was exceptional, keeping the baker safe for shipping to me. I anticipate purchasing additional pieces in this line." "I just received this baker today. It is so very beautiful and the surface is so smooth. The colors are brilliant and the lemons are just lovely. Perfect size for two people with leftovers for later. Don't hesitate to buy these pieces." "I just received this square baker and also the spoon rest in the Sicily pattern. Both are absolutely beautiful and just went back to order the salt and pepper shakers. These items won't be my last. I will be ordering more from the Sicily pattern. I'm sure I won't be the only one pleasantly surprised by their beauty." "I just received my baker. It is Georgous. The color is beautiful. And it has a really nice weight to it... Can,t wait to use." "Just received it, and I love it! It's beautiful and I will get a lot of use from it. 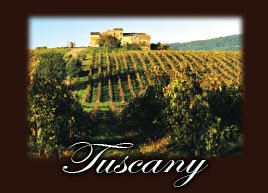 I got the Tuscany and the colors are beautiful. Thank you for bringing these to QVC, love that they are made in Italy!!!!!" "I received this today and I know that we are only suppose to comment on this after we used it but I want to say that"You did it right". The baker is beautifully done, The Venice pattern is classy and timeless, but I must commend you on the packaging. The box arrived and the baker was seated in a very good styrofoam holder with a cover. The booklet came with a Q&A sheet and something I did not expect a one-year warranty, a web site and a phone number. This attention to detail makes me glad that I also ordered the large serving bowl and the pasta bowls. I look forward to adding more pieces to this collection." "Beautiful design, I bought the Tuscany piece. It is just beautiful. Will be making my stuffed artichokes in this piece. I couldn't wait to order, only piece up on the website at the time. Thursday, April 5th is the debut of this new line. Can't wait to view what else they have. These pieces do not go from freezer to oven, but that is minor to me. They do bake in the oven up to 500 degrees. Thank you for bringing this line to QVC." " I love the art work, and it's very well made. I will use it for baking and decorating. Thank you for this wonderful product!" "Such beautiful pieces of useful stoneware as well as art! These are positively gorgeous and I am going to be so proud to serve in them." "This rectangular baker in the Sicily pattern is just beautiful!! The handpainting is wonderful and the lemons just pop out of the painting and they look so real. Can't wait to use this, but just had to tell you how much I love it." "I bought this in the beautiful Sicilian/lemon pattern. The hand painted lemons and flowers are gorgeous, but the background part of the dish is also lovely with a marbelized type finish. It arrived in perfect condition. I have it displayed on my buffet in between uses. The colors in the dish will complement my dinner plates, which are a variety of shades ranging from marigold to lemon grass to tangerine." "Thank you, lydia bastianch earned her reputation on being Italian and everything Italy, Italy, but her products are made in china....this is not ok........"
"When you see it in person---It takes your breath away. My grandparents are from Sicily, so I bought Sicily. I know they all have to be gorgeous. It is very special to have something handpainted from Italy. I am an artist. I really appreciate and understand all the work it takes to get something this special. I can not THANK YOU enough. GRAZIE!" "I loved and ordered in the Sicily pattern. In person it is absolutely beautiful!! It is large, that's for sure, and if you're like me and you love a great display or centerpiece bowl, this is one you'll probably like too. I love the sunny yellow colors and the soft background, and the handpainting is nicely done with a loose and fun feel. I also love that the top of the bowl is not perfectly round but has a slightly wavy edge, which gives it that handmade look. These pieces have a good weight too. 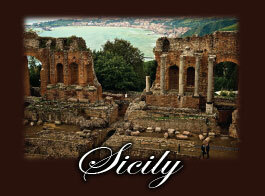 I was impressed with the recipe card and the fun information sheet on Sicily. Although I have to send mine back as it has a hairline crack which I'm sure happened during shipping, I can't wait to get the replacement, and hopefully a few more pieces, in this line and possibly the Venice pattern too. I think these are a nice new addition to the Q. These will be the pieces you'll look forward to using time and time again." "This is even more beautiful in person then in the presentation. I got the bowl with the Venice design and I just can't stop looking at it. To have a hand-made piece of Italian pottery like this is truly a treasure. I have been to Italy and tried to ship some pottery pieces back from there and it did not work out so well, so this is just a delight! I have seen similar pieces with not nearly as much hand-painting for much,much more." "Received it last night and this bowl exceeded by expectations!!!! GREAT!" "This lovely stoneware bowl is beautifully crafted. It's size is imposing, and it would make a beautiful center serving bowl or centerpiece at a large table. A big green salad, a fruit salad, a pasta dish, anything served in it would look great, because the outside of the bowl is just as pretty as the inside. If you have a place to display it when you are not using it, that's even better. Just remember, it is big, not for a dinner-for-two tiny table. It looks like it is made and painted in Italy, which it is, and is worth the money. The colors are warm and vibrant, and the shape is flowing and graceful. The only problem is which color to choose!"